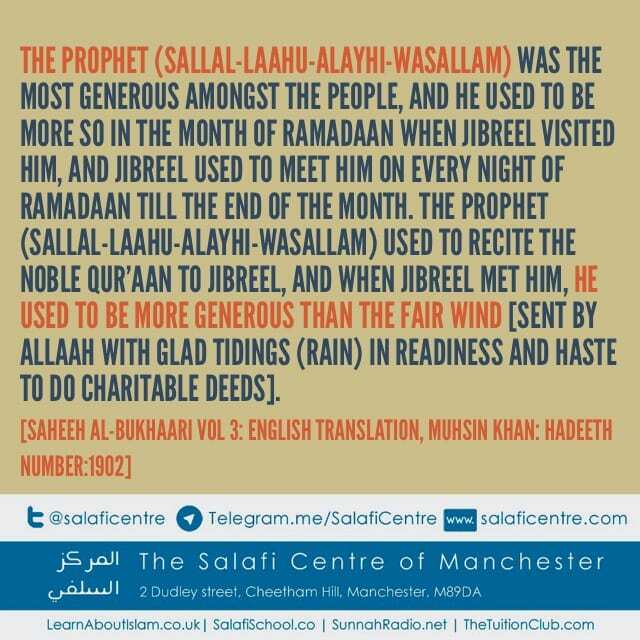 The Prophet (sallal-laahu-alayhi-wasallam) was the most generous amongst the people, and he used to be more so in the month of Ramadaan when Jibreel visited him, and Jibreel used to meet him on every night of Ramadaan till the end of the month. 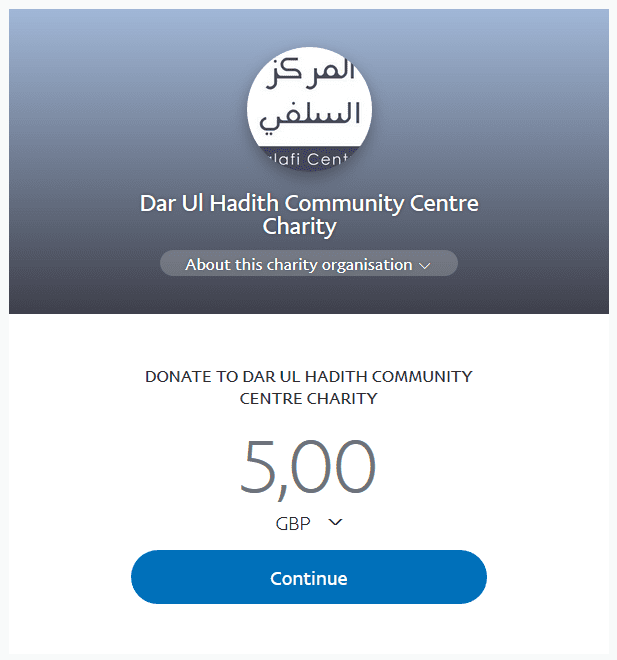 The Prophet (sallal-laahu-alayhi-wasallam) used to recite the Noble Qur’aan to Jibreel, and when Jibreel met him, he used to be more generous than the fair wind [sent by Allaah with glad tidings (rain) in readiness and haste to do charitable deeds]. He (sallal-laahu-alayhi-wasallam) was the most generous amongst the people with regards to wealth and bestowing (things) to the people, and not that he was (only) generous after being asked. And in the last year (of his life), Jibreel met him twice and he finished the recitation of the (Qur’aan) twice. And from the benefits of (this hadeeth) is that it is more virtuous to study and recite the Qur’aan at night. And (from the benefits of this hadeeth) is one’s studying with the righteous people, the scholars and the people of goodness. The Prophet (sallal-laahu-alayhi-wasallam) recited (the Qur’aan to Jibreel) to receive that which Allaah has of reward (to be granted to those who seek it). (And from the benefits of this hadeeth is that) generosity in times (when people are in need) and in Ramadaan is something sought after (in the religion of Islaam).